Weight rated to 160kg the Ergomax has a large memory foam seat and a large back. 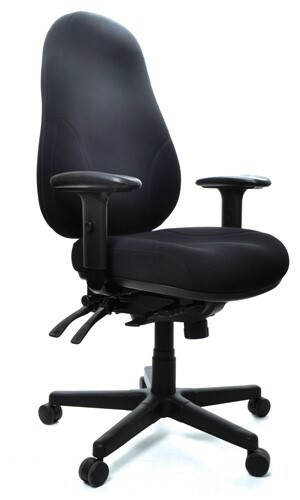 A 3-lever heavy duty chair - with a heavy duty gas lift and strong hi-arch 5-star alloy base with ratchet back. Australian made with a memory foam seat combined with a high wide back. Perfect for the larger users looking for a versitile chair.